Successfully Added Posture Corrector ISWEO TIRAMI-SU - 30 Day Standby, Skin Safe, Radiation Free, No App, Magnetic Clip, Splashproof (Blue) to your Shopping Cart. The ISWEO TIRAMI-SU digital posture corrector is a cool electronic gadget that helps you and your loved ones to keep a right posture while sitting and walking. This posture corrector device can be easily attached to your shirt by using its magnetic clip. Once in place, it will constantly keep track of your posture and make sure that you won’t slough away. Perfect for teaching children how to maintain a healthy posture as well as for adults – this cool electronic gadget is useful for people of any age. 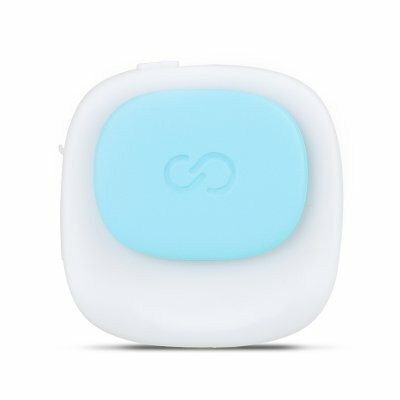 Although small in design, this digital posture corrector features an epic battery that brings along almost 14 days of continuous usage time and a 30-day standby period. Thanks to all this power, you’ll never have to worry about low battery power again. With its built-in LED reminder, the posture corrector will inform you whenever energy is running low – ensuring that you’ll never run out of juice in the middle of the day. Thanks to its internal battery, the ISWEO TIRAMI-SU digital posture corrector works without unnecessary smartphone apps, making it easy and convenient to use. Crafted out of premium components and tested against allergies and radiation, this posture coach can be used safely without needing to have any worries about your health. With this cool electronic gadget in place, you’ll be warned through a slight vibration any time your body posture seems to slough away. Thanks to these reminders, you can be sure that you’ll always adapt a healthy posture. Additionally, this gizmo also reminds you after every 45 minutes of inactivity to take a little break and walk around to maintain a good health. Thanks to its little pouch, this posture trainer can be easily carried along anywhere you go. Additionally, it features an IP54 splash-proof design, allowing you to wear it outside even in humid environments and slight rain. This posture corrector comes with a 12 months warranty, brought to you by the leader in electronic devices as well as wholesale electronic gadgets..